This is based on plant health, diversity, density, soil mulching, and composting of the organic matter returned to the surface, which comes from livestock management practices. 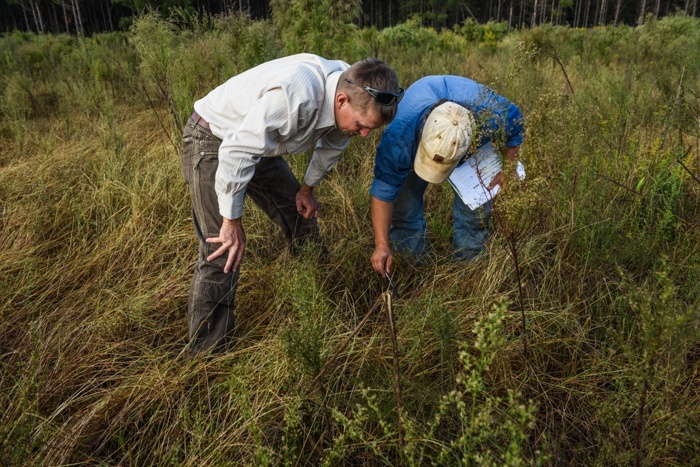 It is also based on the carbon sampling that we do at each transect monitoring site, which gives us the ultimate score of the Savory Institute Evaluation Matrix. The EOV Program entails a combination of quick, regular assessments and annual in-depth analyses of specific sites. They are performed at the same places each time. We continue to document the same square foot’s progress or change over time. There are three transect sites throughout the farm that essentially represent the quality of the pasture. The three sites include the land that has been under holistic management the longest amount of time, along with the land most recently acquired that has been under holistic management the least amount of time. The third site is represented by the land that has been under holistic management the length of time that is between those two. These sites are evenly spaced from the southernmost, to the middle, to the most northern part of the farm. These assessments are done annually for the transect sites in order to monitor said sites. 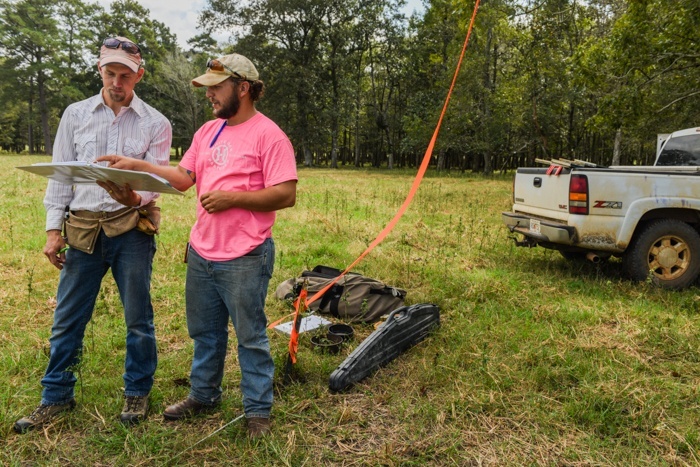 At least annually, if not bi-annually or tri-annually, a quick assessment of each pasture is completed, which must be done before animals are brought to the site. The assessment to initially set up the site, in which the way Will wants it, will take 2-5 hours. After that, it should take less than two hours. There is a diagram of what the transect looks like, along with instructional guidelines on how to perform all the processes. The diagram consists of a trapezoid shaped square with a point on top and five sides with a line down the middle. It is bisected with a pointer placed every 20 centimeters on each side of the transect. A picture is taken of the frame in order to fill out a scorecard. This pointer identifies individual species of grass for 30 yards. We do that incrementally along the middle line of the transect. 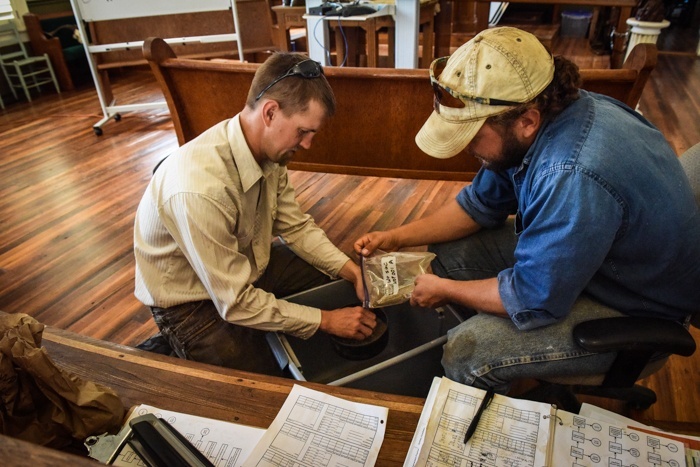 This allows us to score soil coverage, density, mulching, composting, and wind vs. water erosion, to name a few. The scorecard is created so that the same thing can be done all over the country. Therefore, ranchers in Arizona, who have a lot of wind erosion, can use the same scorecard that I use, even though I have little to no wind erosion. 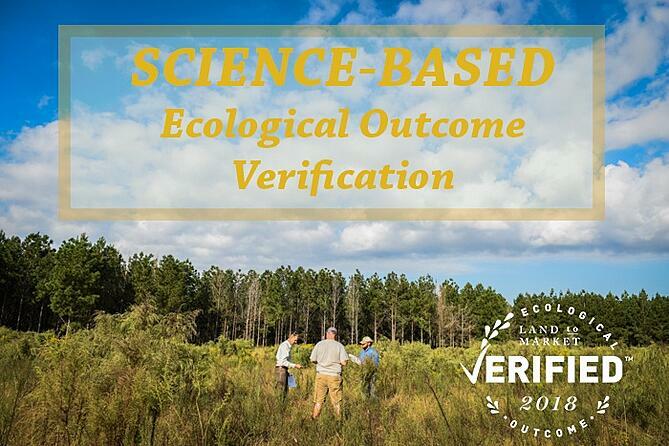 Savory created this uniform assessment protocol, which enables all the farms that are part of the “Land To Market” program to be scored the same. Once I get the information, I tally up all the numbers for the categories. They are scored between negative 20 and positive 20, which is a qualitative value. We can use that value, along with the other measurements, to compare and chart the changes over time. This is utilized to make the needed changes. All conclusions are situational, depending on the animals of different impact, the seasonality, the weather, and the different land bases used. There are just so many different variables. Management decisions are made according to the information and scores derived from the assessment. I encourage consumers to be curious about what the process and the certification stands for, what it means, and what’s going on within it. I would hope that Savory and White Oak Pastures can supply that information to the consumers. We should be able to tell consumers what the process consists of and why they are paying a premium for a product produced in this way. Producers are encouraged to participate in this program because it is an investment. While the initial labels are appealing, it introduces producers into a premium market. It is a financially advantageous to the land/health/stewardship approach. This is one of the best and most practical ways of raising animals. I would never consider an industrial model because of so many unfavorable aspects. I think for somebody who relies on natural resources, land management is important and producers will care about that.